If you did get confused, it is perfectly understandable. 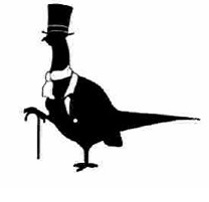 After all, they’re both silhouettes of birds “equipped with accessories associated with an English gentleman”, as Mr Justice Arnold explained last week in Jack Wills Ltd v House of Fraser (Stores) Ltd  EWHC 110 (Ch). The Judge held that there was a likelihood of confusion between the two birds on the part of the average consumer, and therefore that House of Fraser had breached the right conferred by Article 5(1)(b) of the Trade Marks Directive. Two points are particularly worthy of note. Firstly, the Judge revisited the question of who is “the average consumer” for the purposes of deciding whether s/he is likely to be confused. House of Fraser argued that the relevant consumer was someone within Jack Wills’ core target market – i.e. 16-24 year old men, who were after all the people who might be most expected to be familiar with Mr Wills (and, so the argument would go, the least likely to confuse him with a pigeon). In contrast, Jack Wills argued that there were two average consumers: those who purchase clothes for their own use and those who purchase for someone else. The Judge rejected both approaches. He held that the average consumer covers a wide class of persons – including a spectrum of people from those wholly ignorant of the mark to those who know it well, and falling into a wide range of demographic sectors. It does seem something of a misnomer to describe this wide class of persons as an “average consumer”, which now appears to be a rather complex gloss on the more straightforward terminology used in the Directive, namely “the public”. Secondly, it is interesting to note how low the bar seems to be to prove likelihood of confusion. No evidence was adduced to show actual confusion. 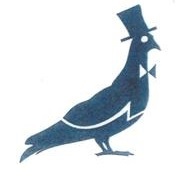 House of Fraser pointed out that anyone initially confused by their pigeon logo would look at the label and immediately realise that it was not a Jack Wills product. However, the Judge held that it was sufficient that there was the potential for initial interest confusion by purchasers before they checked the label; and also the potential for post-sale confusion by friends and acquaintances who see the garment but cannot check the label. But perhaps the most important feature of the judgment is how the Judge dealt with a different aspect of the case. In addition to the Article 5(1)(b) point, Jack Wills argued that there had been a breach of the right covered by Article 5(2) of the Directive, which prevents the use of signs which are similar to a trade mark in a way which takes unfair advantage of it. This is potentially a very wide provision since – unlike Article 5(1)(b) – it covers the use of similar signs on any goods (not just those which are similar to the trade mark proprietors’ goods) and it doesn’t require a finding that any consumers might be confused. Everything therefore hinges on whether the alleged infringer has taken unfair advantage of the trade mark. So what was the unfair advantage in this case? There was no question of House of Fraser intentionally free-riding on the reputation of Jack Wills’ trade marks. However, the Judge held that it was sufficient that House of Fraser intended to enhance the attraction of its own goods by adopting an embroidered logo which is “an aspect of the get-up of prestigious branded goods” and that, whatever House of Fraser’s intention, the consequence of their use of the pigeon sign would be that in the minds of some consumers there would be a “subtle but insidious transfer of image from the [Jack Wills] Trade Marks to the Pigeon Logo”. House of Fraser has been given leave to appeal on 10 grounds. For the time being, however, the case gives important guidance on the width of the monopoly protection granted to trade mark proprietors.